I just can’t be bothered to support a total load of lying untrustworthy politicians! This is a sentiment we can certainly understand – over our campaign over the past few years we’ve had lots of conversations with our local politicians, and on a personal level they are helpful and supportive – for example local Arborfield member Gary Cowan has supported us as we have campaigned over the sudden closure of the Garrison Post Office last June, and has been supporting local residents campaigning for a new school for the southern parishes, attending every meeting. However get an election in prospect and they start saying and publishing stupid things that just make them look idiots. 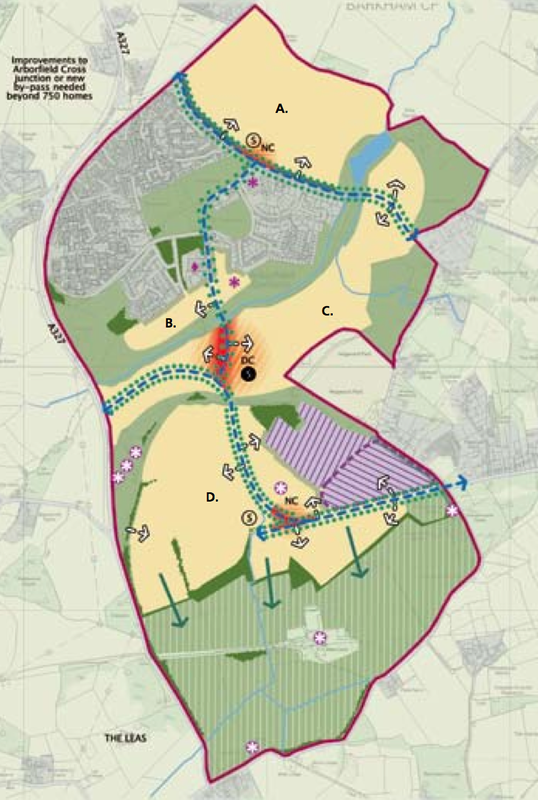 In Arborfield, we’re once again dragging over the old chestnut of “Liberal Democrats want to put xxxx more houses on the Garrison site” argument that the local Conservative campaign rolled out in 2010 and is digging up again. At various times it has been all 13,500, a Conservative flyer in 2010 said 12,000, this time it’s 10,000. All in all it is a really tiresome and totally pointless argument – the Liberal Democrats are so far off any real influence on the Borough council that they could win every single seat up for election this year and the Conservatives would still comfortably be in control, and it has been like that for years, even back in 2008 which is when the Conservatives claim this “policy” was published. The Liberal Democrats could have put forward a policy to recreate the Hanging Gardens of Babylon on Arborfield Garrison and it would have had the same chance of becoming a reality. The joke is that for someone like Gary Cowan who is this time pledging a clean campaign on one side of a flyer and putting rubbish like this on the other, the Liberal Democrats have regularly admitted that they would put more houses on Arborfield Garrison – the 5,000 that the developers have always wanted to put here, and still do, in fact Steve Bacon said as much in a flyer last election campaign. It is perfectly possible to put out a flyer that is honest about their policy using figures that the Liberal Democrats themselves have published, instead of once again presenting a figure that the Liberal Democrats claim is misrepresenting a statement from the Liberal Democrat Council Election Manifesto from 2008 which causes this same pointless shouting match again and again, repeated on BBC Berskhire just this last week. We’ve been through this same stupid argument in 2010, and we’re getting it again in 2014, is it little wonder locals think their politicians are liars and are put off voting altogether? We want to see a positive campaign, not one that drags over an irrelevant, pointless argument based on a six year old manifesto. The extra homes in Wokingham’s Core Strategy are required by the Labour government’s national policy and regional housing targets. If a Conservative government is elected they will abolish the high housing targets forced on Wokingham, leaving Wokingham Borough Council free to amend its plans and scale down the targets. If re-elected, as the lead Councillor for planning I would then ensure that our local plan was revised to spare the green fields of Arborfield. 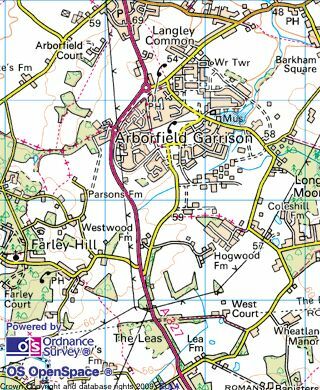 Arborfield knows I have its interests at heard, and Arborfield would benefit from having its Councillor as the Planning Head. You can go back through our archives here for what happened after the election, needless to say that the numbers of houses in the core strategy today are exactly the same as they were before the 2010 election. What happened was that following the election the local council found that although the Labour regional strategies were abolished, other aspects, in particular housing land supply rules weren’t – the council still needed to provide land to build on, and the numbers required were much the same. Essentially the pieces had been rearranged a bit but the new government was just as keen to build houses in the south east of England as the defeated Labour government had been. It would be churlish to criticise the local councillors over their decision, had they cut the housing numbers it would have left the core strategy open to a challenge that under the new government rules would have allowed a developer free-for-all. The simple fact to remember is that all the major parties nationally favour a major house building programme – the Conservative method is maybe a bit more carrot than the Labour stick, but the end result is still the same. 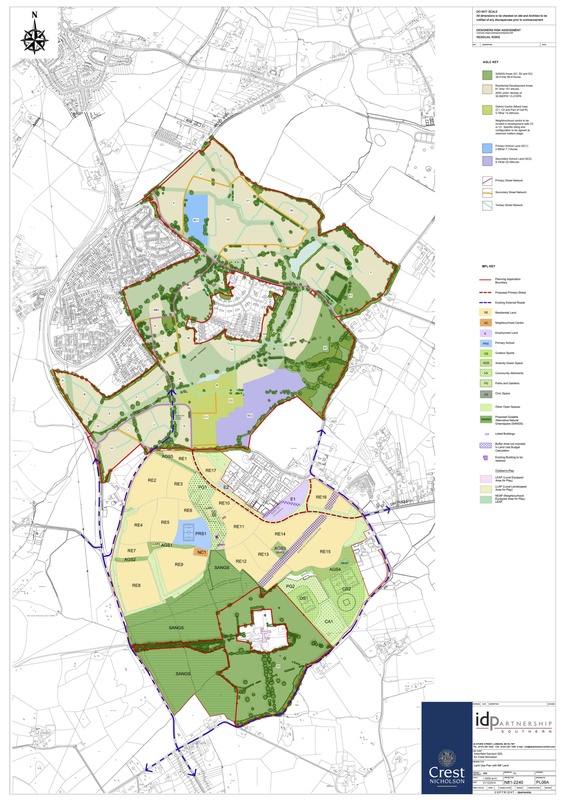 Wokingham Borough could abolish their core strategy, but despite what it proposes for Arborfield, we would argue against anyone who tried to abolish it, as if it is removed, the current simplified planning rules would result in open season from developers. 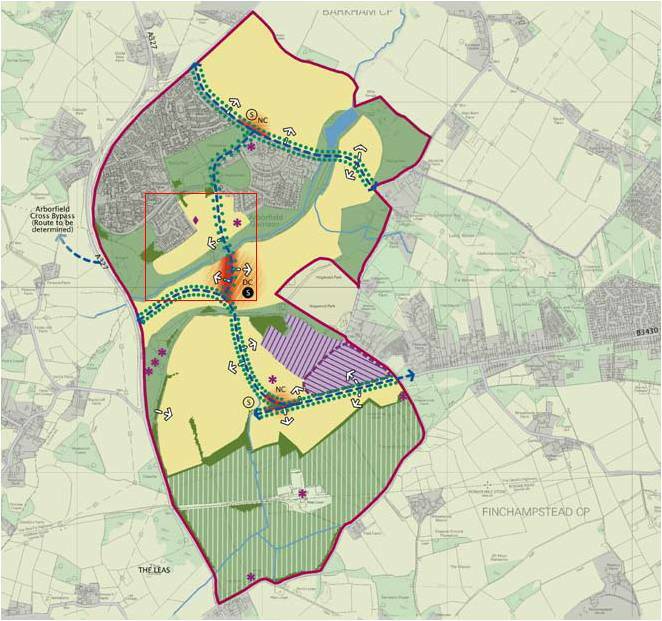 We may not like what the core strategy brings to Arborfield, but at least it gives the council some leverage to get the infrastructure the area desperately needs if it is to cope with the influx of houses and people that the building will bring – the core strategy is better than the alternatives. So that brings us to who we support, the answer is simple, we don’t support or endorse any of the candidates, we will work with whoever the voters choose to represent them. Whoever is elected in Arborfield and Finchampstead the decision has already been made and the houses are coming to the Garrison. In Arborfield both Gary Cowan and Steve Bacon are long time village residents, and will be familiar faces to anyone who has attended the Arborfield Community Forums, and both have been active in putting forward their opinions, and both were fighting for route B to be selected for the bypass. Similarly in Finchampstead the candidates from the major parties will be familiar faces locally to those attending community forums and other local meetings. It is also worth remembering that whatever rubbish they may print about each other, or spout on the doorsteps, all of them live locally themselves and ultimately will want the best for the area as they have to live here too. Of course where they differ is in what they think is best for the area, which is where you as voters come in. Going forward, this next four year period will see the main planning applications for the SDL brought forward and adopted, the Borough Council have made a clear and unequivocal commitment to a new secondary school by September 2016, and also the plans for the Arborfield Bypass will move forward significantly, and based on current plans the Garrison will have closed and the first houses will be being built. 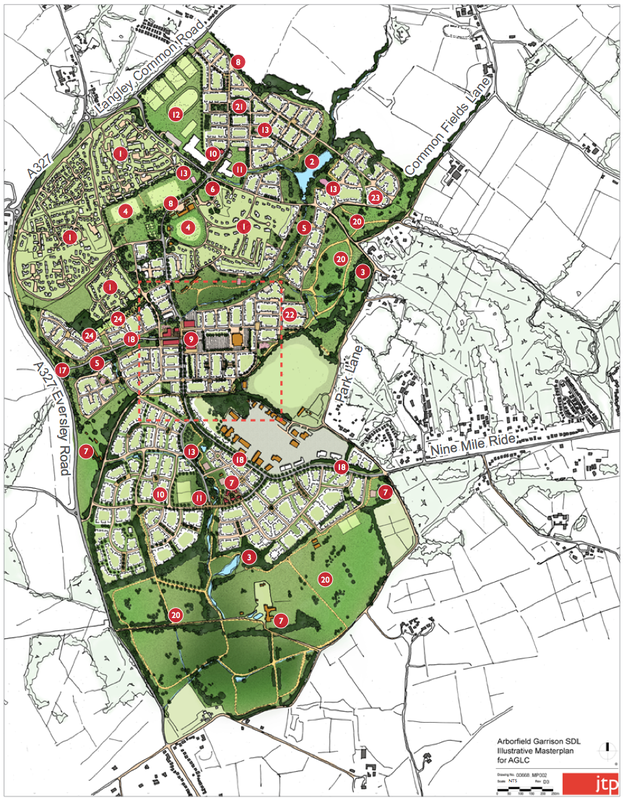 In 2018 we will have a much better idea of how Arborfield in 2026 will be shaping up. Who is it that you want representing you in this critical few years?